Tech Care for All today kicked off a new partnership to improve health and save lives among low-income youth and their families living in informal settlements of Mumbai. Tech Care for All today kicked off a new partnership to improve health and save lives among low-income youth and their families living in informal settlements of Mumbai. The joint project, carried out with the nonprofit Life Project 4 Youth, will design innovative eHealth tools to increase healthy behaviors—like handwashing and early antenatal care—and improve people’s access to quality healthcare in their own community. 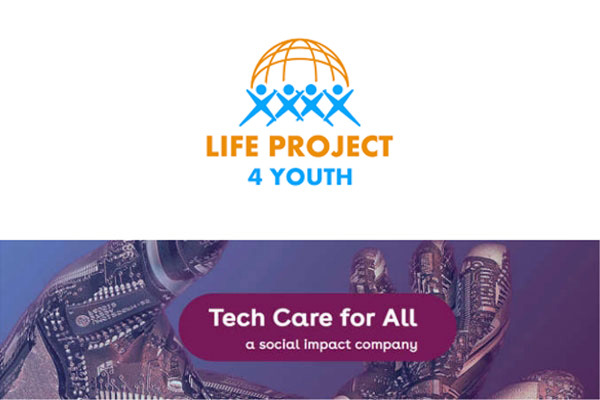 Tech Care for All (TC4A), a social impact company with its India headquarters in Mumbai, will apply its expertise in digital technologies to address the health risks and challenges faced by these disadvantaged communities. Life Project 4 Youth (LP4Y), through its work with marginalized youth in Indian cities, has observed that they are frequently ill, have low levels of awareness about health and nutrition, and rarely seek out needed healthcare services. Health is often far down their list of personal priorities, after jobs, relationships and daily struggles. By engaging youth as researchers, designers and mobilizers within their neighborhoods, the partnership aims to improve the health of the community as a whole, young and old. Participants aged 18-24 will contribute to developing the new eHealth tool—which may include a phone app and other features—by using techniques of user-centered design. They will be supported and mentored by professional designers from Brillio, a leading digital design company based in Bengaluru and Santa Clara, USA. Brillio will lend support through its award-winning Bringing Smiles initiative. Tech Care for All (www.tc4a.com) is a social impact company fully focused on transforming health outcomes in Asia and Africa by leveraging digital health (eHealth) technologies. Along with India, it has operations in Kenya and Senegal. LP4Y, the Youth Inclusion department of Tomorrow’s Foundation, is present in India and ten other countries. A federation of 15 organizations, its mission is to develop innovative solutions for the professional and social inclusion of young people who face extreme poverty and exclusion. LP4Y supports hundreds of young people each year in 24 centers in South East Asia and South Asia. Brillio is a leading global digital consulting and technology services company focused on implementation of digital technologies for the world's leading companies. Its CSR initiative, Bringing Smiles, aims to expose youth to today’s disruptive technologies, nurture the imaginations of young people and democratize the ideas of innovation and entrepreneurship.